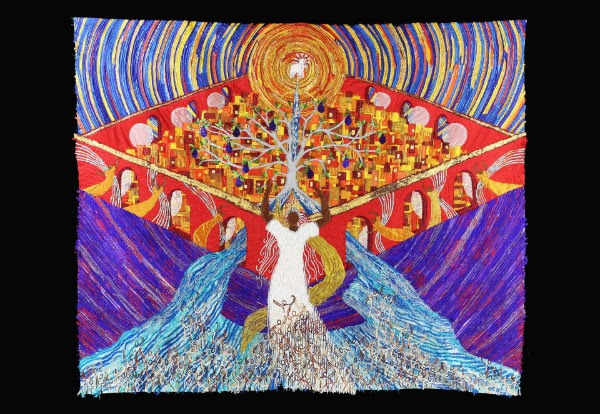 "Threads Through Revelation" is a spectacular display of textile art, inspired by the book of Revelation. It has been created by Jacqui Parkinson, a textile artist based in Devon. 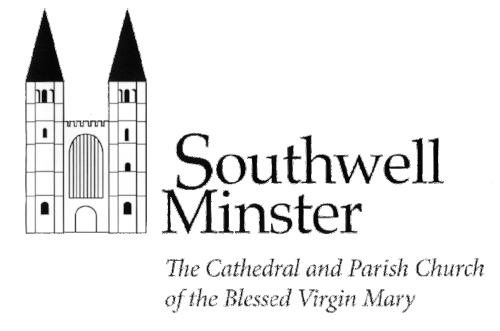 Her work will be visiting cathedrals across the country until the end of 2018, and we are lucky enough to be one of it's hosts. “Threads Through Revelation” uses vivid silks and literally millions of stitches to explore the Book of Revelation, one of the most vivid books in the bible. The book of Revelation describes the extraordinary visions of John on the island of Patmos in the first century and has inspired and challenged many artists over the centuries. Jacqui became particularly drawn to the book in 2013 and for three years and three months worked on a sequence of panels and a book, which was completed in 2016. Thought to be the largest single-artist textile exhibition in the world, it’s on show from 16th October to 30th November and really is one not to be missed. "Jacqui Parkinson has approached Revelation with all the seriousness of a professional theologian but also as someone who wants to engage the text with her passion and training in art. In working with her own art form she brings insights to the text which sometimes reinforce, sometimes question and sometimes push further the academic commentaries. This is a fine piece of work and gives a distinct contribution to the scholarship on Revelation. But more than that it engages the artist and the lay person in an imaginative exploration of God's Word."